Great article! Thanks for a wonderful post, Kati. To play off what you talked about, I took NCLEX RN on May 23, passing in (hold your breath…) 75 questions. I was so shocked when the screen went blank (aka my heart went into PSVT for 5 seconds). It was hard to go in knowing I could have all 265 questions, or just 75 but I mentally prepared for 265. My school included the full Kaplan experience in our tuition, so I did all the question trainers, the Qbank (1,600+ questions), practice tests, videos, two content review books (skimmed over select sections) and the four-day live Kaplan Review Session prior to graduation. I liked Kaplan’s questions, but not their lack of detail for rationales. The videos were not helpful to anyone in our class. I found the strategies somewhat helpful, but many of my classmates said the strategies/live review class was the most helpful part of the Kaplan bundle. Since I finished the Qbank with Kaplan in March prior to graduation in May, I went ahead and purchased UWorld. 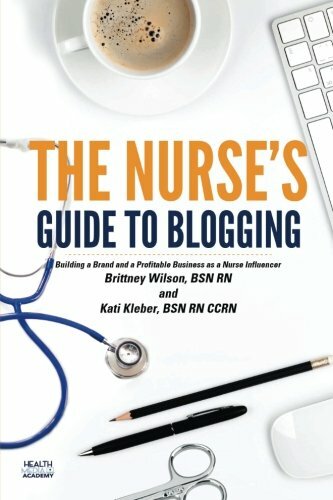 This would have to be my most recommended resource because the rationales are the bomb and it is a lot like the actual NCLEX. You learn so much just going through each question (totaling over 1,950!) and they provide you with built in strategies/charts/visuals. UWorld has more SATA style questions than Kaplan, allows you to test in many different modes, and provides two 75 question self-assessment (predictor) tests. In closing, I would just say be diligent and do whatever works for you. Being a nurse is your goal and passing the NCLEX RN is one stop on the road to RN, but never let the exam define who you are. Just keep growing as a person and make the journey yours. Great Tips! I often hear new graduates fixate on the number of questions and think that can determine a pass rate. While they take the exam this causes anxiety once the pass 75. Be free of distractions and take good notes helps too!